How often should you post to a blog? There’s definitely no shortage of opinion and advice on the subject for what it’s worth. And much of that free advice is worth what you pay for it. 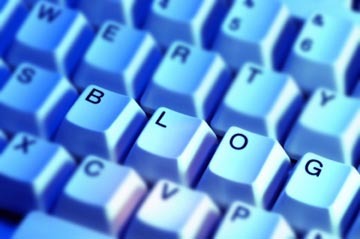 But when the eponymous Seth Godin talks about blogging: listen up! Godin used to post a couple of times a week. His blog is one that I never miss because his insights are so frequently valuable. And although I never miss one of his posts, he’s gotten harder to keep up with lately. That’s because, not long ago, he began a seven-day-a-week posting schedule. I wondered why, and so I asked him. BL Ochman: Can you please share with me why you changed to daily posts? You’ve been publishing shorter posts seven days a week for a while now, in contrast to your longer, less frequent posts of the past. BL Ochman: What impact has that had on your blog readership or ranking? You were already Number One on most lists! Seth Godin: I honestly don’t measure this. I measure inbound email, and it has increased in quality. B.L. Ochman: Do you plan out a week’s worth of posts or write them as the spirit moves you? Seth Godin: I write them as they occur and queue them up. If the queue is more than four, I get frustrated, though. B.L. Ochman: Are you experimenting toward a goal? Seth Godin: My blogging life is basically goalless. I like the zen nature of that, and paradoxically, it improves results. I’ve posted as often as six times a day, and as infrequently as once a week. After six years of blogging, I post only when I have something I really want to say that I think will interest my readers. I try to stay away from the online echo chamber where everyone writes posts about everyone else’s posts. I don’t follow a daily blogging schedule, but every day I use Twitter, Google Reader, and Friend Feed to post asides, links, and short observations. Seth’s long-time advice about how often to post? “Key assertion: you don’t publish it unless it’s good”. And he’s so good that I never miss one of his posts. The real bottom line is that, like Godin, you have to love writing, sharing information, and conversation to sustain an effective blog over a period of time. Writing short and tight is icing on the cake. Add a dose of respect, goodwill, and trust, and you’re good to go. Great post and insight on a very important topic for both established and aspiring bloggers. I’d like to add that as a budding blogger, I’ve seen that an increase in post has resulted in increase traffic and subscriptions. Part of the reason i think are the voracity of people’s appetite where the expectations is to expect more than 2-3 post a week. With the advent of tools like twitter, posterous and other micro-blogging platform, i think readers are looking for a little less depth and more quantity. Sean – quality is going to trump quantity for any blogger, no matter how long they’ve been blogging. I use blog posts for more in-depth writing than i do on twitter, friend feed, etc. But a lot of bloggers confuse quantity with quality, and length with depth. I would point out that Seth Godin is not active on Twitter, and the point may be that he can concentrate his content on his blog better than those of us who are. I see using Twitter as a way to share insights, links, and things that have my intention at the moment. It works really well in concert with the blog and has def helped increase my traffic here as much as my blog as increased my followers on Twitter. What a great post and thread with Seth Godin! BL, I am but a casual and interested obsever, and quite simply a sponge with this all this social networking modus operandi. Also, since you have a new picture posted – might I add that you get younger looking every day! Keep up the good living, and thanks as always for your insights and social networking efforts. Best regards for thte New Year! A lot of it also boils down to what your readership will tolerate. When looking to add a new feed to RSS, I usually shy away from sites that post too frequently because most of the sites that do have too much filler/garbage. I’ll have to rethink this, though, apparently!